Rolling countryside living affording privacy on 5.47 acres with room for horses, space to store your toys, garden area, etc. This is a property you will not want to miss! 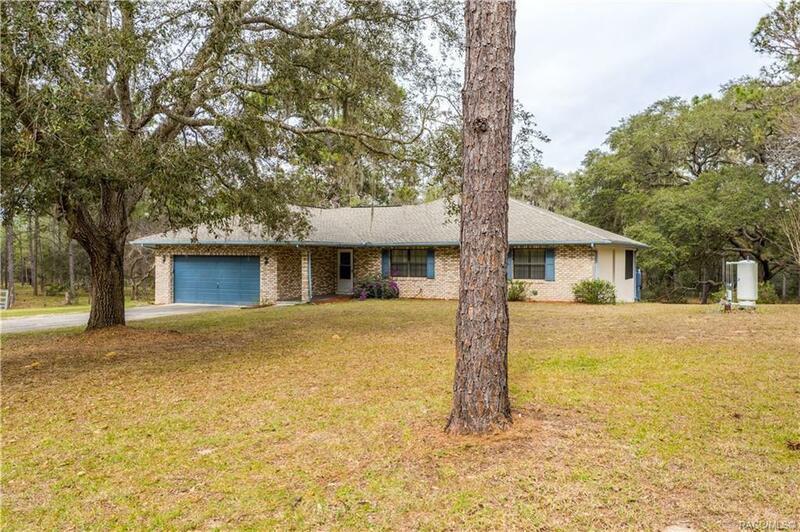 This immaculate 3/2/2 home built 1991 offers 1730 living area with split floor plan, eat-in kitchen with pantry, updated Master Bath, wood-look tile flooring throughout, and huge screened porch that leads out to an awesome deck overlooking beautiful serene backyard with large majestic oaks. Floral City is steeped in history and is an active community with library, banking, Withlacoochee Bike Trail, small shops and restaurants nearby. It is situated with quick access to Inverness, Bushnell and Brooksville for additional shopping, medical, parks, etc. This home has been much loved and reflects it. The lot backs up to Eckerd Foundation property affording lots of privacy. Directions: From Inverness, Take 41s. R At Floral City Traffic Light Onto Orange Avenue. L On S. Bedford Rd. R On Rolling Hills Path. Make Sharp Right To Continue On Rolling Hills Path. House On R. See Sign.